Over time, golf courses show the effects of aging just like anything else. Weather conditions, from blizzard to drought, or simply the wear and tear of steady use will take a toll on the finest property. 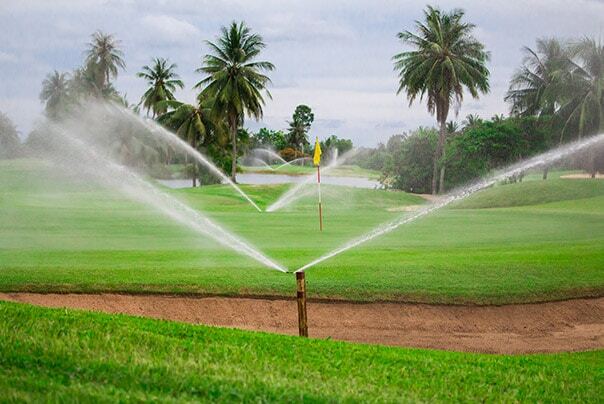 While IGM has built its reputation on comprehensive golf course maintenance, we also manage major renovation projects when needed, for on-going clients as well as on a one-time contract basis. Overhauling bunkers, redesigning greens, or replacing irrigation systems require careful planning and precise timing to minimize disruptions to course operations. The IGM team brings years of experience in agronomics and the golf industry to collaborating with course management to achieve goals for the golf course and the business. A hybrid of these options, depending on project scope. At Rio Secco Golf Course in Las Vegas, IGM undertook a complete re-grassing and bunker replacement project for owner Caesar’s Entertainment over the summer of 2017. The plan was to close in May and finish the project before the peak season in October. IGM retained a sub-contractor, and were able to bring the project in on time and on budget. IGM has expertise working in various regions, terrains, and climate conditions. We know Florida’s hurricanes, Massachusetts’ harsh winters, and California’s droughts. We understand how vital it is for golf courses to be at peak playing conditions for tournaments and financial viability. To discuss a renovation project or maintenance proposal, please contact Greg Plotner, Executive Vice President, 407-589-7200.